The first idea of foster care was introduced in the States during the mid 19th century, and since then, there were some problems shown about foster care. Many children were not able to find a foster family, nor could adapt easily. Although foster caring definitely is a controversial topic as the kids might struggle in forming their own identity, it seems like foster care shapes and changes the children in a very positive way in lots of different aspects. Mr Sharry, who currently teaches at UWCSEA, once was a fostering parent. He had a foster child named David, who wasn’t quite an obedient child at first. Foster children not being obedient might have some reasons, and we should try understanding them rather than having a prejudice. A lot of people think that foster children’s behaviour is bad. This is partially true, but only because of their unpleasing background. David, for instance, had a drug-addicted mother and was isolated from her at the age of 11 months. This couldn’t have been easy for him. For his own living, he started stealing at the age of 6. I am not saying stealing is good, but if we think of how harsh and tough it would have been for that little child, we should at least try understanding him, in his perspective. Every single time David met his biological mum, his behaviour and emotions worsened. This was because he still had trust in his mum, and he needed some time to get away with it. Every moment David was having trouble, Mr Sharry as a foster parent tried to understand and to communicate with him. By doing so, their relationship has gotten better. Mr Sharry used to have a chart with David, about things to do or not to do, to help David’s actions to improve. Things improved after doing so, and it seems to be very true that understanding and communicating does help to improve the foster child’s behaviour. David has improved a lot, especially after meeting a loving foster parent as Mr Sharry, and has grown up to serve in the army. Anyways, by looking at what happened between David and Mr Sharry, it seems like it is true that understanding the foster children is important, and it truly does help them in a lot of aspects. China, being one of the most growing country in the world for the past few years, it has produced lots of toxic gases. In order to prevent the creation of these gases, China built this dam in the Yangtze River, named 3 Gorges Dam. By doing so, it was believed to resolve the problem of massive harmful substances from China, with the use of hydro-electric power. However as time passed by, some problems were found too. These problems have started to question people whether it was a good choice to build 3 Gorges Dam. I do believe it was a good choice for China to make, based on few reasons. First of all, by the completion of 3 Gorges Dam, there was a significant change in the production of toxic substances. As 3 Gorges Dam use hydro-electric power, which is a environmentally friendly energy, no gases are being created. Not only being environmentally friendly, but also it can supply a large amount of electricity so that 1/3 of the Chinese households can be powered. This amount of energy can be produced by the use of 50 million tonnes of coal, and this is a very large amount of coal which would produce a lot of harmful gases. By the construction of 3 Gorges Dam, the use of coal has reduced a lot, which is very helpful for the environment. Secondly, it has lots of economic advantages. By the construction of this dam, it has become available for the big ships to pass by the river, and as a result, the trading also have been available through the movement of ships. Also, new jobs are being created due to this dam, such as cleaning up the river or the occupations related to the transportation for the migration of citizens. These jobs have not only decreased the unemployment rate, but also started to clean up the river as well, which is very good. Lastly, the benefits due to the construction outweighs the problems by a lot. The problems made can be fixed very easily. For instance, for the houses damaged due to the landslide can simply be compensated by the government, or can be moved to somewhere else in China with a similar environmental condition. Also, it is much easier to just clean up the garbages in the river rather than reducing the amount of harmful substances. Due to this reasons, I believe it was a good choice to make this dam. Today, Shazad and I worked as partners to share each others’ foundational stories. Shazad, being a Muslim introduced the story of Noah, which is a part of the Quran. I have heard this story before since I am a Christian, and this story is also a biblical story. Anyways, he introduced lots of different examples of adaptations, and the reasons why this story could be loved for a such a long amount of time. There are so many different examples of adaptations, so I would like to record a few of them here. The most well-known adaptation would be the movie “Noah”(2014). This movie is narrated with a biblical view, and hence some of the comments were quite negative since this story has different perspectives, including the Islamic or the Greek cultures. There also is a TV show introducing the facts about this incident, and proving that it actually had happened in the past. The name of this show is “The Ark”(2015). Some musics are about this story, “Ultralight Beam” being one example. There are some animations as well, such as “Pink Panther” and “Ice Age”. There also are different kinds of books with the similar story but with kind of difference such as “The Adventures of Huckleberry Finn”, etc. Not only these examples, but there are tons of more examples consisting of this story meaning that “The Story of Noah” actually is a good foundational story which has inspired lots of different parts of culture. Reasons why this story have been adapted in all these different cultures are quite straight forward. Since this story of Noah, is quite entertaining, and not depressing as different biblical/ Islamic stories are, lots of people tend to enjoy this story. Also, by the fact that Noah is the most long living prophet in the religious books, it might make the readers interested about that person, Noah. Lastly, by the fact that researches are still going on to find the proofs about the real existence of this incident, this might also interest the readers, and consequently make this story alive and revisioned. This story changes quite a lot depending on the genre of the media. For example, the story is kind of not focused on the god, but only on the animals in the animations, which is for children. Also, in the TV shows introducing the research going on to prove the real existence of this event, only consists of real facts, but without any religious perspectives nor the value of god. Just like these examples, this story had changed significantly depending on its readers, over time, and cultures. It seems like Shazad had chosen and introduced a very good foundational story which had influenced a lot of different people and culture. It was kind of cool to understand this story in a different point of view, in the perspective of Islamic, not in the Christian fashion. Last week, my mentor and I had a conversation about this year’s goals as well as my personal circumstances. We also discussed about what went well until now and my subjects, too. I would like to record my goals for this academic year in this post. One of my goals was to try to enjoy and learn all the different subjects with the same level of enjoyment. For instance, I personally prefer geography over science a lot. It is not that I don’t like the teachers or classmates, but it is just that I can’t enjoy the science, which is quite hard for me. In order to solve this problem, we thought of an idea of trying to find a book or some video clips which might help me gain some interests in these subjects which I don’t enjoy. Also, we discussed about trying out new activities and services. Last term, I did one math club and football, which are the activities that I have done before. Since I have lots of different opportunities to access all the other new activities, I have decided to try out new sports or even services I have never done before. In order to do this, I signed up for rugby, which I have never tried before. I would try my best throughout the whole year to achieve the goals I have set for myself. Yesterday, I went to the college shop and bought school football uniform, since I have been accepted as the school U-16 football A squad. Although I wanted number 7 or 17, the uniform fitting my size had number 18, 42, and so on. I thought 18 was the best number in all the options I could choose. Therefore I have been assigned the number 18. After being assigned a uniform and a number, I became curious about the famous players who represent their numbers. Usually number 1 is for goal keepers. Some of the famous players would De Gea, Lloris, Neuer, etc. A lot of key goal keepers would get this number. Number 2, 3, 4, and 5 usually goes to the defensive players. Some of the famous players are Thiago Silva for number 2, Gerald Pique for number 3, Sergio Ramos for number 4, and Zidane was number 5. Number 6 is usually given to midfielders. Some famous players would be Paul Pogba, Thomas Muller, etc. Number 7, 9, 10, 11 goes to key players or the attacking players. Ronaldo represents number 7, Luis Suarez is number 9, Lionel Messi is number 10, and Gareth Bale is number 11. Number 8 also goes to midfielders. Gerrard is a famous player representing number 8. Other numbers beside 1 ~ 11 usually goes to sub players. 13, 23 usually goes to sub goal keepers. 14, 16, 17 is usually sub midfielders. 19 and 18 is usually sub strikers. Although there are some exceptions like Ronaldinho using 80 before retirement, a lot of football teams are most likely to give the numbers to players with some kind of a pattern. It seems to be quite cool by the fact that the players’ jersey numbers have some meaning as well as representing the position. English would be the most common language spoken throughout the world. There are lots and lots of countries considering English as their official language all around the world, including United Kingdom, USA, Singapore, and so on. 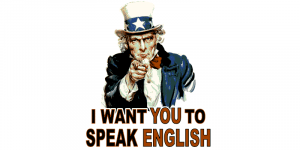 Since USA’s most commonly used language is English, it is very true that it would be extremely hard to live without basic knowledges about English. 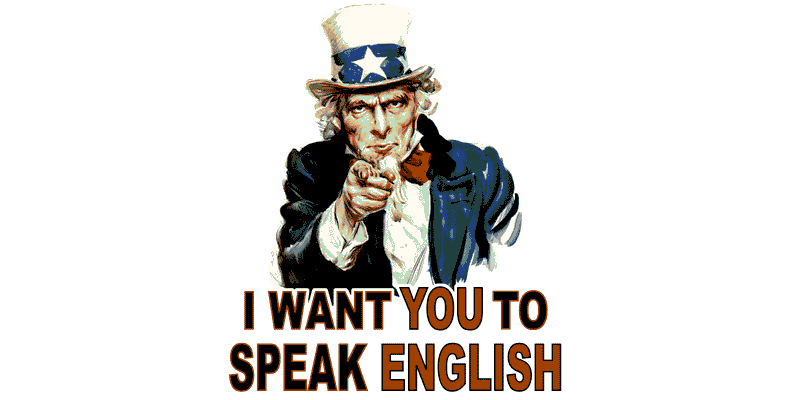 However, I believe the learning or speaking of English shouldn’t be forced to everyone who lives in the country. There was one journal with the same opinion, about USA’s oppressive assimilation of language. The journalist Melissa Lozada-Oliva is an anchor woman whose parents are from countries speaking Spanish. Therefore since she was young, she would have heard Spanish, not English from her parents. However, due to the fact that she was living in America, she sometimes ignored or did not reply in Spanish, just to improve her English skills. Not only her personal case, but also there are a lot of examples, or even more severe examples of people being forced to speak English. Her opinion about forced language assimilation was very negative. She thought language and the accent is what forms the identity of a person, and shouldn’t be judged or shouldn’t change the speaker’s power or anything else based on it. She stated that one individual trying to learn English just to adopt to the society or for ones convenience is truly a good movement, but being forced to do so is not the right thing. I personally agree with the journalist’s opinion, by the fact that people shouldn’t be forced to learn a new language. As English not being my mother tongue, I sometimes have troubles because of the language. However, for the people who are older and who hasn’t learned English, it would be much harder to even understand how English works. I do want people to think about these few questions I am going to write down. For English speakers whose mother tongue is English, what would you feel if you are forced to learn a new language just by the reason that you are living in another country? Or, would it be easy for you to understand it, or pronounce it in the correct accent? I believe if people consider these questions, it would be a better world and society to all people whose mother tongue is not English. As a Korean, I feel quite proud of my own country Korea, in several aspects. One of the major factors that make me think this would be the popularity of K-pop throughout the whole world, without a doubt. A lot of people know a lot of Korean actors and singers, and a lot of the Korean singers are likely to be in band, with about 4 to even more than 10 people. The news in the link below stated the fact that one of the Korean band, BTS made their first ever history in the U.S. stadium. Even more, some of their songs were ranked on Billboard, which made a lot of people think that BTS is the best K-pop band of all time. Yes it is true that they have achieved a lot of things that other bands couldn’t do, but personally I do not think that BTS is the best K-pop band of all time. I do not agree with the idea that BTS is the best K-pop band of all time because BTS has a lot of fans as well as a lot of anti-fans. One very famous incident of BTS anti-fan is the murder threaten to BTS from an anonymous anti-fan, through the social media. Not only this famous incident, I have seen a lot of people back in Korea who didn’t like BTS. Some of their reasons were that they liked different bands, or just because they didn’t like the concept that a lot of people form one group and sing while dancing. Neither way, it is very true for me that BTS has a lot of anti-fans, which does not make BTS the best K-pop band of all time. This might be quite subjective, but personally I believe there are and were much better K-pop bands throughout the history, such as H.O.T , BLACK PINK, etc. 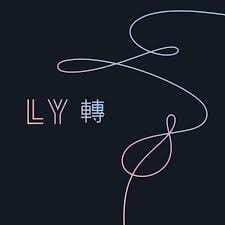 It is very hard to decide who is the best singer since favourable songs differ from people, but for me, I don’t think BTS is the best K-pop band of all time.